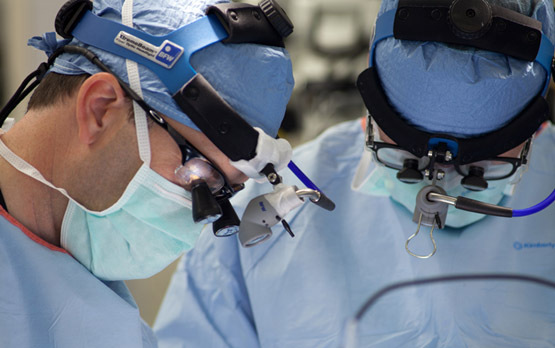 More than 30 neurosurgeons at UC San Diego Health System are dedicated to the care of complex neurological diseases. According to the Becker’s Hospital Review editorial team, these hospitals offer outstanding spine and neurosurgical care, and were selected based on nominations, clinical accolades, quality care and other spine and neurosurgical proficiencies. These hospitals have been recognized for excellence in this specialty by reputable healthcare rating resources, including U.S. News & World Report, HealthGrades, Truven Health Analytics, Blue Cross Blue Shield Distinction Centers for Spine Surgery, Delta Group CareChex and the American Nurses Credentialing Center. Carter, who was recruited from Harvard in 2010, noted that a special emphasis has been placed on developing programs that require a multidisciplinary team-based approach. The neurosurgery program has more than 30 neurosurgeons dedicated to the care of all forms of brain and neurological disease. In 2012, UC San Diego Health System became one of the first facilities in the country to be certified as a Comprehensive Stroke Center (CSC), the newest level of certification for advanced stroke care awarded by The Joint Commission.